Our B4 Air Pack includes 1x Pro B4 LiFe Battery, 1x Pro B4 Charger, 2x Sync Lead. 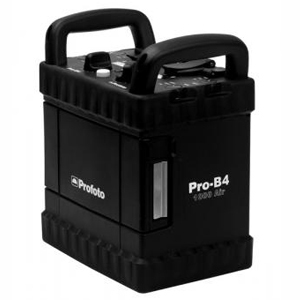 The Pro-B4 is the state-of-the-art fastest battery generator. In some regards it even outperforms the best studio generators out there. Just try finding another generator that can freeze motion at 1/25,000 second or fire up to 30 flashes per second! That is why we are not afraid to label it a revolution on location.